RUSH: What happened out in San Francisco with the Kate Steinle jury? Man, oh, man, you talk about…? You think the OJ verdict was something? This verdict out there makes the OJ verdict look like Romper Room. You talk about jury nullification? You talk about a bunch of citizens banding together to say, “Screw you, United States! We prefer being a sanctuary even if our citizens do get murdered. Maintaining our political independence on this is much more important than the safety of a single citizen in San Francisco.” Just amazing. What else do we have out there? Let’s see. Well, the ongoing saga of sexual harassment in the Drive-By Media and in the Democrat Party. It’s just continuing. (laughing) I’m sorry. It’s one of these things we’re not supposed to find any humor in. Since I’ve got these calls on these subjects, we’ll wait ’til the calls to get into those subjects. Let me deal here with the Katie Steinle verdict. When I heard about this, I heard it out of the corner of my ear. It didn’t register at first, because it was so unexpected. And when it finally registered on me, I can’t begin to tell you the depths of my anger and frustration, and then I stopped, and I caught myself, and I said, “You shouldn’t be mad. This was imminently predictable.” Who are we talking about here? We’re talking about the American left and the time for granting them any semblance of commonality with us when it comes to values and politics, morality, decency, right and wrong? Those days are over. They don’t have much in common with us anymore. And each and every day this is borne out. So in San Francisco we have a War on Women, a different kind of War on Women — a felonious, illegal immigrant’s War on a Woman. An innocent woman is shot and killed. Her killer — an illegal alien who shot the gun has multiple felonies — is found not guilty by reason of a jury’s political insanity, and the left is good with it. The insanity in that courtroom was not the perp. The insanity is the jury. (sobbing) “I know, but it’s so horrible, isn’t it? So sad. These two young men are gonna have a tough enough life as it is and then to be deprived of their parents.” “But they killed ’em!” “I know. It’s so bad.” I’m not making this up. There was such a jury. So we have Illegal Immigrants + Sanctuary City = Justice in American liberal enclaves. What is it with the callousness regarding the abuse of and the harm to women and the left? It seems like no matter where you go in America today, if there are liberals involved, women are being harmed to one degree or another. You know, on the Matt Lauer story, you know what’s now surfacing? And this was predictable too. That everybody knew, including some of the Today show anchors on Wednesday who were acting apoplectic and shocked and stunned and they could barely go on and, oh, “My God, this is terrible!” They knew. Matt Lauer’s sexual proclivities were so widely known that everybody knew — and in fact, it had come to be expected inside the offices of the Today show that nothing was ever gonna be done about it, because Matt Lauer was simply too important to the show. But then something happened that was beyond the pale. Anyway, sanctuary cities are now circling the wagons lawlessly around people who are not in this country legally. There’s no other way to look at this. Sanctuary cities like San Francisco deciding to circle the wagons and protect people who are not here legally when they commit crimes. But again, see, is this really that surprising? The left, for most of my life, has been consistent in protecting criminals and reprobates, believing that the justice system is what is unfair. Believing that the court system is where the real problem is, and that the guilty in this country are simply the product of poor socioeconomic circumstances brought about by an evil majority. Anyway, while all of this goes on, they call us deplorables. Ask yourself a question. Why would a city or a state…? In this case California and San Francisco. Why would they knowingly put their citizens in harm’s way? Well, let me provide you the answer. Because San Francisco and California are subsets of the parent organization, and the parent organization is the Democrat Party. So the subsets or subordinates of the parent organization must always be served. So why would a city or a state knowingly put their citizens in harm’s way? Because of the need for a large, frequently replenished, uneducated, low-skilled, illiterate, illegal, non-English-speaking underclass. The Democrat Party has decided that that pool of people represent their future. Becoming champions of the uneducated, low-skilled, illiterate, illegal, non-English-speaking underclass people is the future of the Democrat Party. Getting them registered to vote down the road is considered by the Democrat Party to be their quickest route to political victory, to deliver votes to Democrats. It is unquestionably the fact that the parent organization, the Democrat Party, thinks it is much easier to get a larger number of votes from uneducated, low-skilled, illiterate, illegal, non-English-speaking underclass people than it is from educated, literate, taxpaying citizens. Which means that this is about power and which means that if you lose a person here or there in the quest, then that’s just the price you pay. And everything becomes politicized, including juries. Now, this verdict in San Francisco is a symptom of liberalism, and as we see, citizens are not really safe in these liberal strongholds. Guns are discouraged with onerous regulations, making self-defense extremely difficult. The police are ridiculed and ordered to give “space to destroy,” which is what happened in Baltimore. Felonious illegal immigrants are given sanctuary, which is a violation of federal law, they are treated as super citizens, above and beyond the reach of the law. 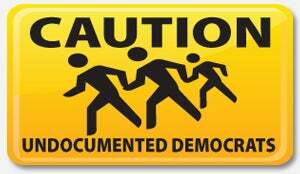 There’s slightly no expectation of assimilation among illegal immigrants, just an expectation that they will participate in keeping Democrats in elective power. Why give sanctuary to violent felons that are here illegally? To keep Democrat icons like Nancy Pelosi and Al Franken and John Conyers in power? They don’t give a damn about women or children or the environment or the Constitution, the health care, or the deficit. Those are just the phony causes. They want your money! They expect obedience. They demand your vote. If a few good people get hurt in the process, well, it’s a small price to pay for the greater good for the Democrat Party. Let me play for you sound bite, audio sound bite number 19, Matt Gonzalez last night in San Francisco after the announcement of the not-guilty verdict in the trial of Jose Ines Garcia Zarate, which is actually not the name he goes by. He’s got two or three names. This is the name fewer people are familiar with. Do you know in the news stories today about this you can’t find reference to the fact this guy’s an illegal alien? You cannot find it. There’s an AP story that talks about this, and not one mention that he’s an illegal immigrant in it. So, anyway, after the announcement of the not-guilty verdict of Jose Ines Garcia Zarate for the murder of Kate Steinle the public defender Matt Gonzalez spoke about the verdict, and this is a portion of what he said. GONZALEZ: There are a number of people that have commented on this case in the last couple years. The attorney general of the United States, the president and the vice president of the United States. Let me just remind them that they are themselves, uhhh, under investigation by a special counsel in Washington, D.C., and they may themselves soon avail themselves of the presumption of innocence and beyond-a-reasonable-doubt standard, and so I would ask them to reflect on that before they comment or disparage the result in this case. 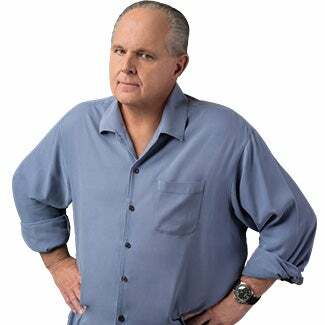 RUSH: So Mr. Gonzalez thinks he’s very smart, and he’s just said (paraphrased), “Well, you know what, the people in Washington who are gonna complain about this? They’re under investigation themselves and it won’t be long before they’re going to be asking for the same presumption of innocence as they seek to deny my client, Jose Ines Garcia Zarate.” This is the kind of stuff that’s gonna make sure the wall gets built. You doubt me on that? This is the kind of thing that’s gonna make sure Trump gets the wall built. Using Trump as justification for an acquittal in the Kate Steinle case? And here is Francisco Ugarte. This is the public defender Francisco Ugarte. He’s talking about Jose Ines Garcia Zarate. I got the names confused out there. This is Francisco Ugarte, who is the public defender speaking about the verdict. UGARTE: This case was used as a means to foment hate, to foment division, to foment a program of mass deportation. It was used to catapult a presidency along that philosophy of hate of others. And I believe today is a vindication for the rights of immigrants. Nothing about Mr. Garcia Zarate’s ethnicity, nothing about his immigration status, nothing about the fact that he is born in Mexico has any relevance as to what happened on July 1st, 2015. “This guy, he didn’t come to San Francisco because he wanted a sanctuary city. No, no, no! He came to San Francisco because he wanted a ‘yob,’ man”! (laughing) You think these clowns do not know that places like San Francisco with sanctuary cities? “That’s not why he came. He came here because he wanted a job. He did not know sanctuary city! No idea, no idea, no idea whatsoever.” Really? Really. So there you have it. RUSH: Keith in Sacramento, my adopted hometown. Great to have you. CALLER: Thank you for taking my call. CALLER: My concern is — or my thought is — I always thought that there’d be a not guilty verdict in Sacramento on that shooting. I feel because of his status and Trump being president, it would prove that sanctuary cities donated people at risk. So I always thought from day one he’s gonna see found not guilty just because of his illegal status on the situation. CALLER: Yes, from day one, because that would prove that a sanctuary city has put somebody at risk, you know, a local resident at risk. It would prove it right there. CALLER: Yes. Definitely. It would have shown that you’re at risk being in a sanctuary city, and that would prove it right there, and of course it was a not-guilty verdict. RUSH: Okay, what happens if the perp had been a legal citizen in the same circumstances, what do you think would have happened in San Francisco? CALLER: Guilty. You know, I truly believe it still would have been guilty in that situation. I think a hundred percent that his status of being illegal immigrant got him a not-guilty verdict. RUSH: And you thought this from the get-go? CALLER: Yes. I mean, in the very beginning, you know, Trump was trying to say they were putting everybody risk. They want to be a sanctuary city to protect everybody from Trump, they’re saying. CALLER: This would have proven that their thought and it’s what they did. RUSH: You know, I actually, like I say, when the verdict, I did a little bit of a double-take, but I wasn’t surprised. But I never… I can honestly tell you that during the whole trial and leading up to it — when this happen, two years ago — there’s a part of me that thought that the legal system is going to end up in San Francisco doing the right thing. I relied on it, and I was mistaken to do so. I thought that they’d be able to find a jury that could see through all this. I neglected to think that there would be people serving on this jury wanting this exact thing. This is an OJ verdict for its own reasons. You know, jury nullification was the OJ verdict — the jury’s reasoning for what they did — and this has similar roots to it. Now, the Department of Justice, the attorney general Jeff Sessions has said that the Feds, the DOJ might get involved here and try to fix this somehow. But you’ve got double jeopardy on the part of the illegal alien here, who couldn’t be tried for the same crime again after having been found not guilty of the main aspect of it.